What is so special about Reliance Jio? Everything is special about Reliance Jio. It has made our life digitally simple. It offers the lowest rate with respect to data services and is in run against all the global data services. The LYF devices under Jio would cost as less as Rs. 2,999. You can have instant activation based on your Aadhaar card and make voice calls throughout the nation free of cost or without any roaming charges. In addition, they offer additional discounts for the students, as budget remains tight for them. They are also offering a group of apps, which would make your life even easier. For exmaple, the Jio Money which makes your life completely cash free. Other benefits of Jio are that they have an enterprise friendly plan and their service is the first ever Platinum level service in the whole of India. 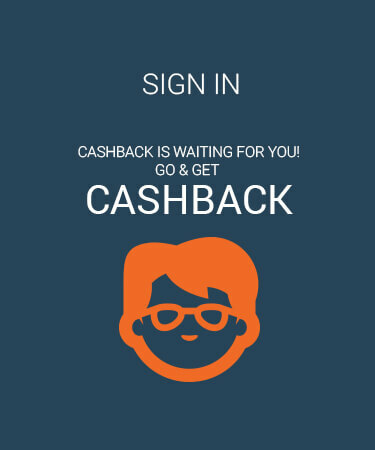 PaisaWapas offers you the best prices on various products featured on Reliance Jio, Reliance Jio makes it easy for you to recharge, pay bills, use the Internet and do more. You can get more than simple recharge and bill payment facilities on Jio. As for the Internet packs, you can get these at the best prices ever available. Once you start using Jio, you can get access to various other easy to use apps like Jio Chat, Jio Money etc that makes life easy as a breeze. So, what are you waiting for get your Jio connection now and enjoy all the facilities. 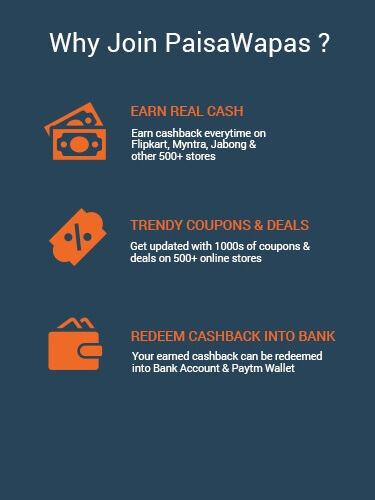 In addition, check the Reliance Jio offers & coupon on PaisaWapas.com & get extra Cashback on every transaction. Step 2: Click on the offer that you want. This will take you to Reliance Jio Website. Step 3: Shop normally at Reliance Jio . Pay as you normally do, including by Cash-on-delivery.